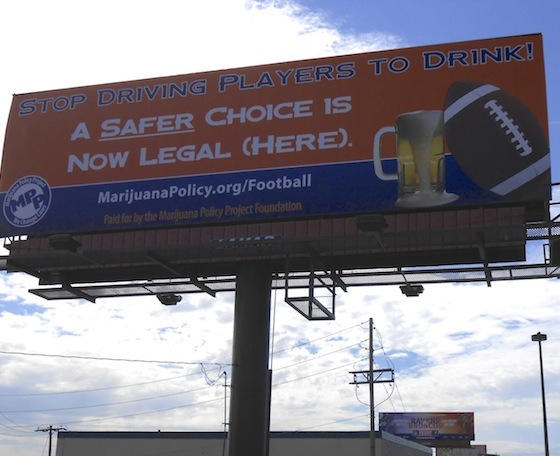 The Marijuana Policy Project has placed another sports-related pro-marijuana billboard, this time targeting the National Football League and their harsh penalties for players caught using cannabis. 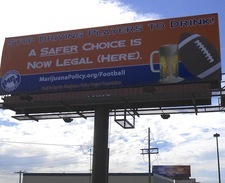 That policy is especially harsh in Colorado and Washington where the use, possession and cultivation of limited amounts of marijuana are now legal, MPP spokesman Mason Tvert says. 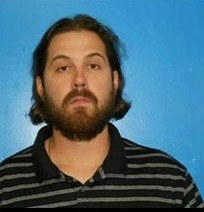 Cleveland Indians pitcher Chris Perez was arrested in June after police say a package with about ten ounces of pot was delivered to his house via a packaged addressed to his dog, Brody. Despite the insistence at the time of Perez’s wife Melanie, police didn’t buy that Brody the dog wasn’t capable of interstate drug trafficking and the husband and wife were arrested and charged with marijuana possession.